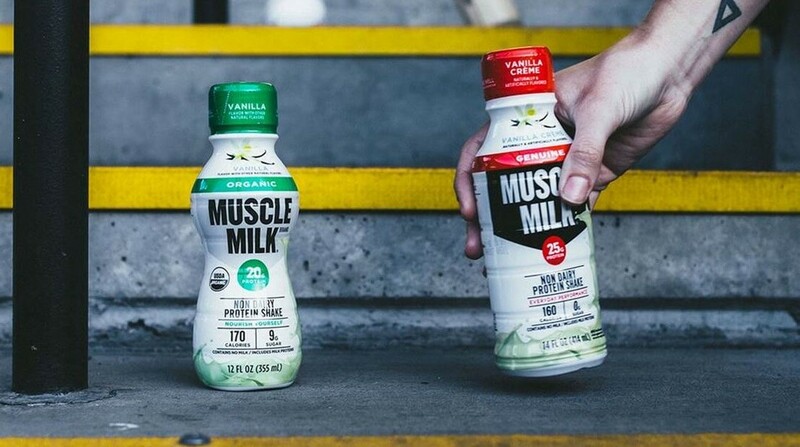 Hormel Foods Corporation (NYSE: HRL) today announced the closing of its acquisition of CytoSport Holdings, Inc., the maker of Muscle Milk® products. As a leading provider of premium protein products in the sports nutrition category, CytoSport’s brands align with the company’s focus on protein, while further diversifying the Hormel Foods portfolio. The acquisition will serve as a growth catalyst for the company’s Specialty Foods segment, and also expands its offerings of portable, immediate, protein-rich foods. Total 2014 annual sales are expected to be approximately $370 million. The purchase price is approximately $450 million. Hormel Foods expects this acquisition to provide about 5 cents per share accretion in fiscal 2015, with a neutral impact to fiscal 2014 earnings, including transaction costs. Hormel Foods purchased CytoSport from the Pickett family and TSG Consumer Partners. CytoSport is based in Benicia, Calif., and was founded in 1998 by the Pickett family. Muscle Milk® products are the No. 1 brand in the ready-to-drink protein beverage category. Hormel Foods Announces Advancements Hormel Foods announced the advancements of Mark D. Vaupel, Swen Neufeldt and Jeffrey A. Grev. Hormel Foods Announces New Board Members Hormel Foods announced the election of three new members to the Hormel Foods Board of Directors. Hormel Foods Corporation, based in Austin, Minn., is a multinational manufacturer and marketer of consumer-branded food and meat products, many of which are among the best known and trusted in the food industry. The company leverages its extensive expertise, innovation and high competencies in pork and turkey processing and marketing to bring branded, value-added products to the global marketplace. The company is a member of the Standard & Poor’s (S&P) 500 Index, S&P 500 Dividend Aristocrats for 2014, was named the 2013 Sustainable Supply Chain of the Year by Refrigerated & Frozen Foods magazine, and was again named one of “The 100 Best Corporate Citizens” by Corporate Responsibility Magazine for the sixth year in a row. Hormel Foods was recognized on the G.I. Jobs magazine list of America’s Top 100 Military Friendly Employers in 2012 and 2013, and named one of the 2014 40 Best Companies for Leaders by Chief Executive magazine. The company enjoys a strong reputation among consumers, retail grocers, foodservice and industrial customers for products highly regarded for quality, taste, nutrition, convenience and value. For more information, visit HormelFoods.com. This news release contains forward-looking information based on management’s current views and assumptions. Actual events may differ materially. Factors that may affect actual results include, but are not limited to: whether and when the company will be able to realize the expected financial results and accretive effect of the transaction, and how customers, competitors, suppliers and employees will react to the transaction. Please refer to the cautionary comments regarding Forward-Looking Statements and Risk Factors that appear on pages 32-38 in the company’s Form 10-Q for the quarter ended April 27, 2014, which can be accessed at HormelFoods.com under “Investors-SEC Filings” for other factors that could affect our business.